Do you want to make your own Havaianas? Have you ever had anything custom-made or personalized? I have. So when I was invited to the Make Your Own Havaianas launch held at Rockwell Tent, I didn't think it would be that hard coming up with my own Havaianas look. More on that later. Right now, let me just say that my first MYOH experience definitely did not disappoint! Upon arrival, we were given a form to fill out in order to create our own Havaianas. I was dumbfounded. They definitely laid everything out and gave us a lot of options to choose from. It was hard not to get lost in it. I had so many designs in my head that I wish I could just take home! Good thing they had a "wheel of Havaianas" set up inside where we could match up the pieces we were deciding on and help us narrow down our options. I felt like I was in a gameshow! LOL. They really made the place look like a playground for the imagination! 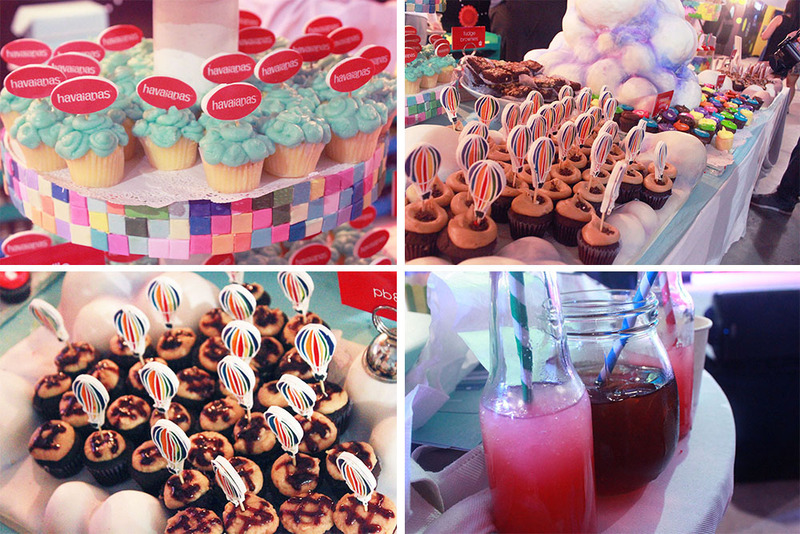 Colorful booths, treats, and quirky additions. You can really let your imagination run wild. The most eye-catching instalment? This hot air balloon made out of Havaianas slippers! How many slippers do you think there are? Vince Golangco and Joyce Pring were the hosts for the evening. Look at that! Thank you to Julian for helping me assemble my slippers! I literally squealed when I saw the finished product. Knowing that I had the call for how my pair would look like made this even more special. Now I definitely have to go on a beach trip and use these! :) Wanna come with? Thank you, Niche of Movent, for having me!! I love that the bloggers had different combinations and no two pairs were alike. It really shows how much Havaianas gave us the freedom to design our pair according to our personalities and styles. Imagine how exciting that was for us! 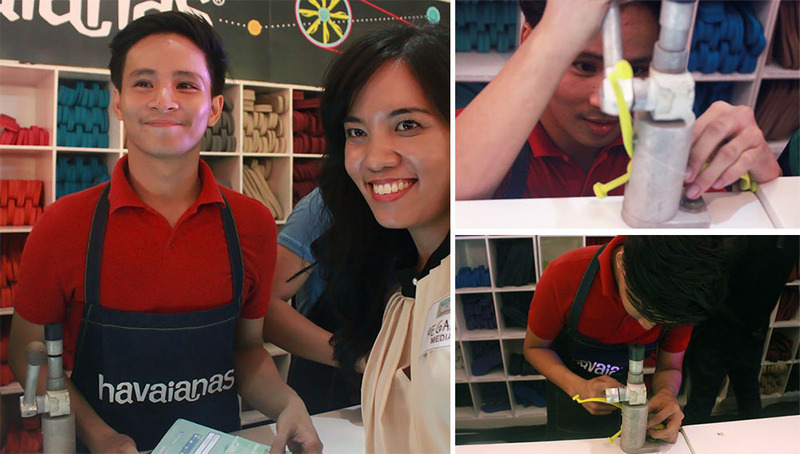 They are also running the You + Havaianas design contest at locations outside Metro Manila such as Laoag, Subic, Batangas, CamSur, Cebu, and more! Visit http://www.youandhavaianas.com to find out when they're coming to your town. Oh my gosh, how fun! I love that you can design your own!! That looks like it was an amazing experience!